2016 was a landmark year for digital health – as reflected by the unprecedented amount of media coverage it received. As a new year begins, here’s a look back at the top 10 most popular pharmaphorum digital health stories of 2016. On 22 December, it was revealed that both the UK’s cost-effectiveness body and the US’ biggest regulator were to team up with the intention of improving access to the latest medical technologies. 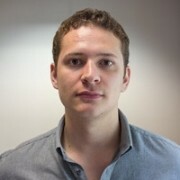 Both NICE’s Scientific Advice programme team and the FDA’s Payer Communication Taskforce are to investigate new ways to help medtech companies convince healthcare organisations of their product’s clinical and cost effectiveness after gaining regulatory approval – a labyrinthine process compared to, for example, the introduction of new medicines to market. The news came late in the year so how the partnership evolves is yet to be seen. One of 2016’s most surprising stories was the revelation of Apple’s conversations with the FDA regarding a Parkinson’s diagnostic app. Although it was common knowledge that the company was investing in healthcare, very little had been revealed about Apple’s exact product intentions. 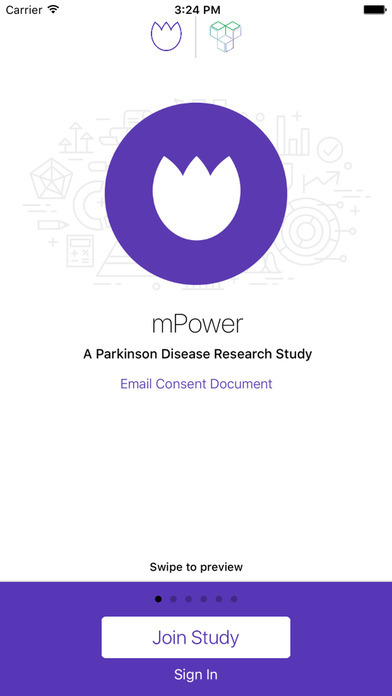 The mPower app is currently available as part of the Parkinson’s disease mPower study, rumoured to be a possible influence behind the proposed new app. In November digital health website MobiHealthNews published a series of ‘scoop’ articles based on emails it had obtained from a conversation between both Apple and the FDA via a Freedom of Information Act request. The emails referenced an app for Parkinson’s which seemed to be based on its ResearchKit software. However, unlike previously released apps using the ResearchKit framework, Apple’s new Parkinson’s app would actually diagnose the disease by making use of the various technologies like gyroscopes and microphones housed in its smartphones. In true Apple style, nothing more has been revealed about the new app. The issue of healthcare app safety standards remains one of the biggest problems in mhealth solutions. In fact, it’s such a grey area for app developers that major healthcare bodies, such as the UK’s MHRA, have tried to clarify any confusion. In December, a group of non-profits decided to try and remedy the problem themselves by forming a health app standard alliance called Xcertia. Formed initially by the American Heart Association (AHA), American Medical Association (AMA), DHX Group, and the Healthcare Information and Management Systems Society (HIMSS), the alliance is looking to add more members over time. Xcertia will develop safety guidelines for new app developers in an attempt to improve safety and effectiveness. Unlike its 2015 predecessor of the same name, Xcertia V.2 will not certify new apps – something many believe to be the reason behind V.1’s failure. Jersey-based company Novocure has a unique method of treating cancer. Its core technology is its Optune device, which delivers low-intensity, alternating electric fields called Tumour Treating Fields (TTFs) to tumours via four inter-connected pads. The TTFs treat tumours by disrupting cancer cell division, preventing tumour growth. The non-invasive device has shown promise in treating brain tumours where the pads are placed to cover the skull. However, new research this year suggested it could also be applicable in other cancers, and ovarian in particular. 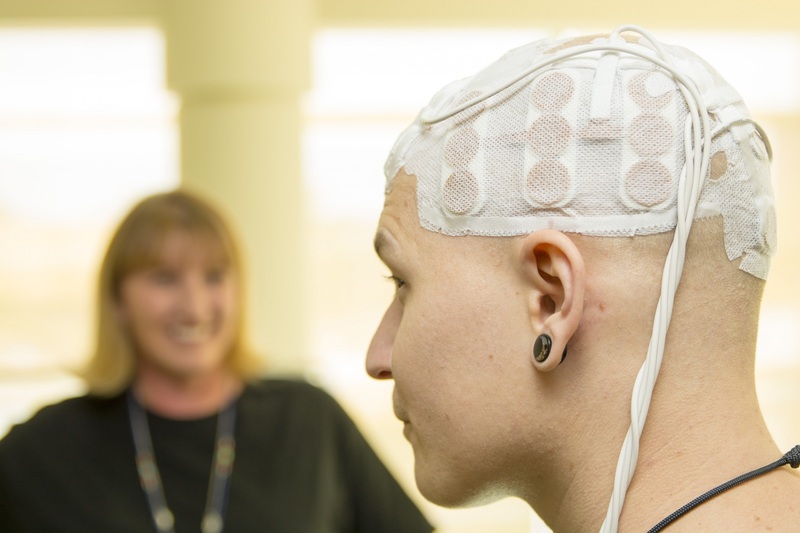 Novocure’s unique solution has already been approved for first-line treatment of recurrent glioblastoma in combination with temozolomide. Results from the INNOVATE phase 2 pilot trial indicated the safety and tolerability of Optune in combination with weekly paclitaxel in recurrent ovarian cancer patients as well as an almost doubling of progression-free survival, compared to a recent study investigating paclitaxel alone to treat the disease. If proven effective, Optune could represent a legitimate treatment option for a form of cancer with a particularly low five-year survival rate. Similarly, it could be an option for pancreatic, mesothelioma and non-small cell lung cancer patients, with trials currently being conducted in each indication. One of the most exciting developments was digital health project funding hitting a new high – $7.9 billion – thanks to some of the biggest investment deals to date in the digital health market. Verily and Sanofi’s diabetes venture Onduo racked up a sizeable $500 million, equalled only by the series A funding round for Chinese medical services mobile app Ping An Good Doctor. Wellness insurance company Oscar also pulled in a healthy $400 million, while J Craig Venter brainchild Human Longevity Inc raised $220 million in series B funding in April. In one of the more sci-fi stories of 2016, wearables specialist BodyCap revealed its intentions to make its space wearables technology – in use aboard to International Space Station no less – commercially available to the public as soon as February 2017. The company’s e-Tact product is a small monitor that can be placed anywhere on the body to measure activity levels, skin temperature and body positions. Currently used by European Space Agency astronaut Thomas Pesquet as part of its ambulatory data collection programme EveryWear, the e-Tact’s one-week battery life and ability to store up to three days’-worth of data lends itself to the monitoring of general health, including chronic diseases, sleep disorders and obesity, as well as possibly being applicable to clinical research. The company will probably experience some stiff competition in its applicable markets – in activity tracking, Fitbit still leads the way and in chronic disease management, companies such as ChroniSense Medical are established brands. Is One Drop the start of a revolution in diabetes management? In a year that featured many innovative ways of combating diabetes, One Drop captured the most attention. Since its launch on the iOS and Android app stores, One Drop has had considerable success as the go-to diabetes management platform. In its short life, the app has gathered over 100 million data points and 2 million logins as users log diet, activity and medication information all in one place. 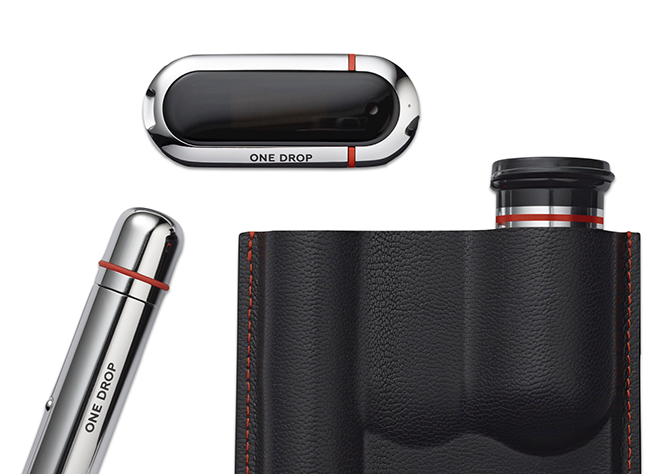 One Drop Chrome aims to redefine diabetes management into a fashionable yet practical experience. This year, the company launched a subscription service called One Drop Premium in the US, which offers unlimited glucose testing supplies, a diabetes management app and 24/7 live in-app support from diabetes experts for $39.95 or less. At the same time, it launched its One Drop Chrome – a sleek blood glucose monitoring package which includes a chrome lancing device, chrome Bluetooth glucose meter, and chrome test strips container, all housed in a pocket-sized carry case. The latter product’s launch came following US and European approval. Given One Drop’s already evident success in the app market – which itself boasts convincing effectiveness data – One Drop Premium and One Drop Chrome may emerge as a partner for pharma companies in the diabetes market over time. Digital pathology – investigating tissue sample slides using computer technology – is widely considered the next step in pathology practice. Currently, tissue sample slides are commonly investigated through microscopic analysis before being shipped to expert consultants, each step a laborious and time-consuming process. As a result, many patients can wait long periods of time for a diagnosis. To be specific, the numbers of patients waiting over six weeks for a diagnosis has increased by 17% in recent times, according to a Cancer Research UK report released in November. The report suggested the improvement of diagnostic services, citing more employment in imaging, endoscopy and pathology as the key to addressing growing numbers of cancer cases. In response, Philips, which has heavily invested in digital pathology services in the past two years, called for the NHS to adopt technologies similar to its own. Is Apple’s bid to revolutionise clinical trials failing? 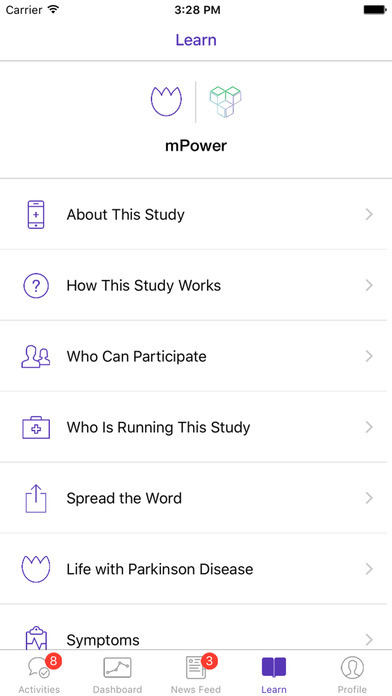 Released in April 2015, Apple’s new open software platform ResearchKit promised to revolutionise clinical research by providing researchers with the tools to conduct studies via smartphone apps. Study apps for cancer, Parkinson’s and diabetes were all released alongside the platform at launch. ResearchKit has since been the basis of many academic studies, making use of user-friendly technology to gather data. Pharma has also begun to show interest, as demonstrated by the release of GlaxoSmithKline’s PARADE in July – the first pharma-led ResearchKit study. Despite the excitement surrounding ResearchKit, a study published in JAMA suggested it may not be having the desired effect. In a trial investigating the use and engagement of Stanford Medicine’s MyHeart Counts app, the study concluded that ResearchKit apps may struggle to maintain trial participant engagement. In a simple study composed of three separate tests – a seven-day activity-tracking test, a questionnaire designed to calculate a person’s ‘heart age’, and a six-minute walking test – the number of participants who completed the seven-day minimum activity tracking test was around 10% of those that signed up for the app in the first place. The number that completed the walking test was a similar percentage and the number that completed the questionnaire was even lower. 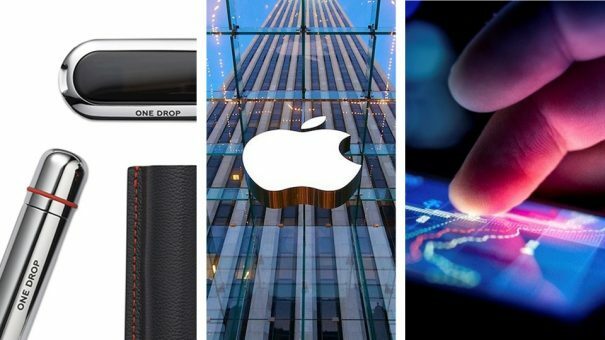 The story pipping Apple to the post as the most read digital health news this year came from arguably Apple’s biggest competitor – Google. One of 2016’s busiest companies in terms of business deals, Google’s life sciences division Verily attracted the most attention thanks to its latest invention: a utensil capable of combating neurodegenerative disease tremors. Unlike its Liftware Steady predecessor, the Lifeware Level features a joint below an interchangeable head, meaning the handle can take any orientation and the head will remain level. Liftware Level’s network of motors, motion sensors and on-board computer recognises the uncontrollable movements seen in Parkinson’s and Huntington’s disease and automatically compensates, ensuring the head of the utensil is stable enough to hold food and liquid. The device has emerged from Google’s X division – the company’s more experimental arm responsible for Google Glass and its driverless cars. As part of its launch, both the Huntington’s Disease Society of America and Teva Pharmaceuticals donated 1,000 Liftware Level Starter Kits to those who could benefit from the device.